Do you need to find a locksmith? What can a home locksmith do? The lock hardware in your home is the first and best line of defense in protecting your family and property. Obsolete and/or damaged locks are an intruder’s best friend – and an open invitation to enter your domicile with the worst intentions. Able Locksmiths’ lock installation expertise is unparalleled when it comes to your home. We have installed thousands of top quality residential locks, bringing peace of mind to countless New Hampshire families over the last 20 years. By contacting us to install new locks, fix locks, or change deadbolts in your home, you ensure home security at the highest level, from a local company that truly cares about your protection. If you have recently lost a house key, or want to prevent past key holders from access to your home without the expense of changing locks, we recommend rekeying locks as soon as possible. Able Locksmiths has mastered the art of rekeying locks of all makes and models, from basic residential locks to the latest complex smart locks and deadbolt systems. What’s more, when you call us for rekey house lock services, Able Locksmiths is available 24 hours a day to swiftly and affordably provide this critical service. Need to protect your cash and inventory? A Locksmith can help! 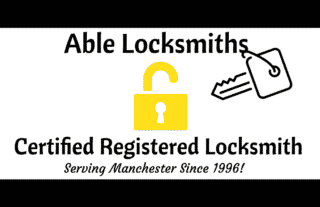 If you own and operate a business in the Manchester, Nashua, or Concord, New Hampshire vicinity and find yourself asking, “Is there a fast, reliable locksmith near me?” The answer is, YES! 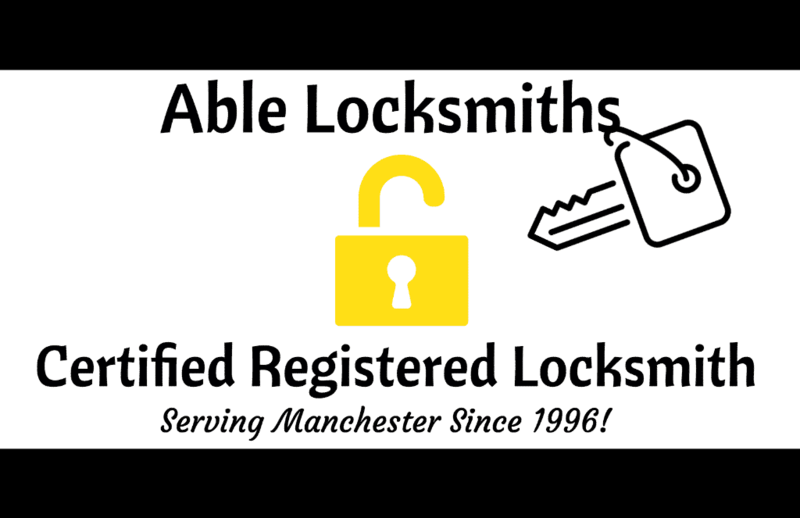 Able Locksmiths is one phone call away when your business locks require immediate attention with the expertise and professional courtesy you deserve. At Able Locksmiths, we fully understand the risks of owning a business with older or damaged locks, yet know your time is too valuable to wait days or weeks for a locksmith to fix the problem. Speed and top-quality workmanship are our priorities when it comes to local businesses, whether you call Able to change locks, fix locks, or install a master key system for your business operation. If your business has a high rate of employee turnover, call Able Locksmith immediately to discuss rekeying options to prevent unauthorized entry without the expense of new lock installation. We will arrive at your location promptly to rekey your business locks with the expertise only a certified professional locksmith can provide.